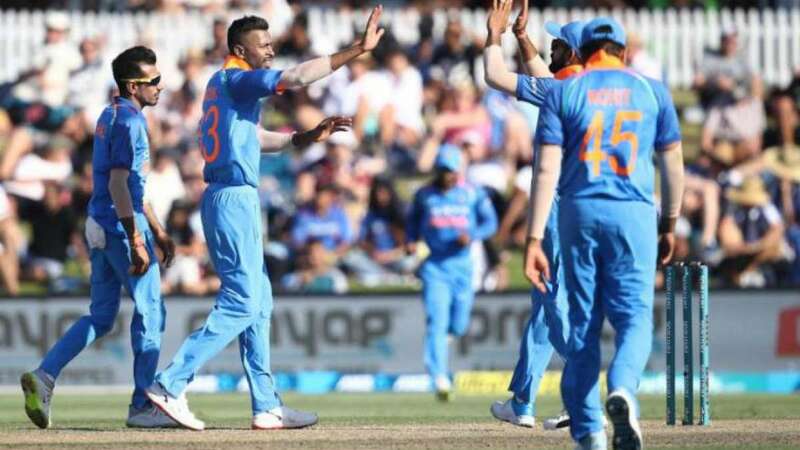 Wellington : Rohit Sharma led Team India registered a 35-run victory over New Zealand in the 5th ODI at Wellington on Sunday, taking series 4-1. Chahal took the highest three wickets in his limited 10 overs. Batting first, India set a 253-run target against New Zealand; the hosts, however, were bowled out for just 217 runs in 44.1 overs. For New Zealand, Neesham scored maximum 44 runs in just 32 balls before he was run out by Mahendra Singh Dhoni. Indian skipper Rohit Sharma praised Indian bowlers for a good show. He maintained that at a pitch like Wellington 250 was a good score to defend. Mohammad Shami was chosen as the Man of the series.